Saturday, January 12, 2019; 2-4pm. BOOK LAUNCH for Biddy Mason Speaks Up. African American Museum and Library at Oakland, 659 14th St, Oakland, CA 94612. Saturday, February, 2, 2019; 1-4pm. 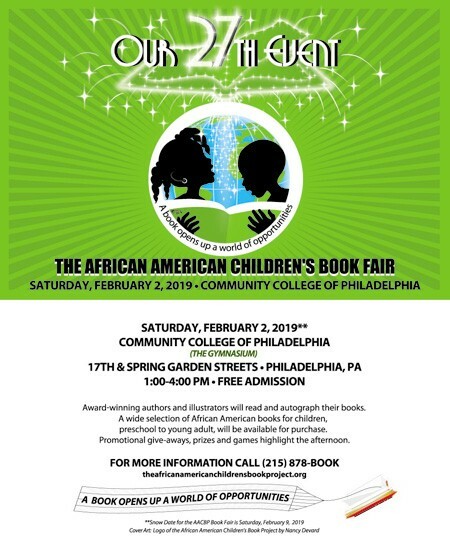 27th Annual African American Children’s Book Fair. Community College of Philadelphia, PA, in the Gymnasium. Wednesday, March 6, 2019; 5-6pm. 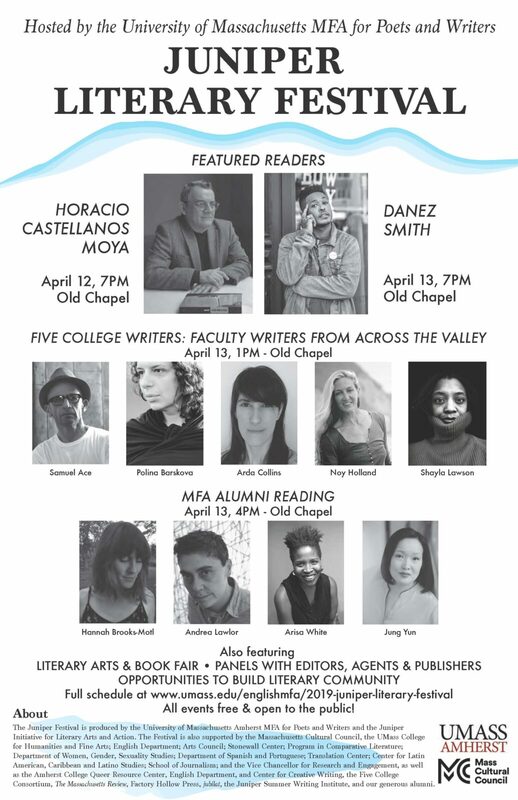 Colby College Reading Series. Miller Library, Robinson Room. 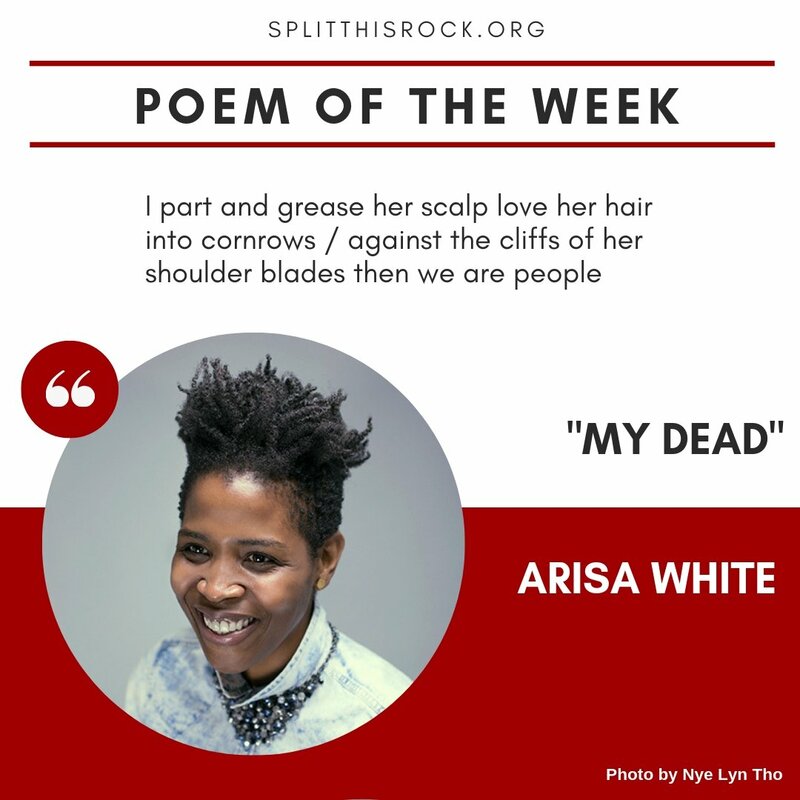 Celebrate National Poetry Month with these evocative, groundbreaking collections. Includes work by Leah Lakshmi Piepzna-Samarasinha, Donika Kelly, Gwen Benaway, and Britteney Black Rose Kapri. Read here. We were on KQED Forum! Listen here. FYI: Contrary to what Krasny said, and what the copy description states, Mason did not buy her freedom; a CA court granted it to her. And my co-writer’s last name is Atkins, not Watkins. Other than that, it was a fun and fast experience. “Ladies Lazarus is a work of creative nonfiction that offers the experience of poetry to me. Language that transports you to a third space, a place where meanings are reconfigured, purged, exhausted, interrogated, mutated to show its multiplicities, where the written word is given new life. Ladies Lazarus has poet’s blood running through it.” Read the rest here. 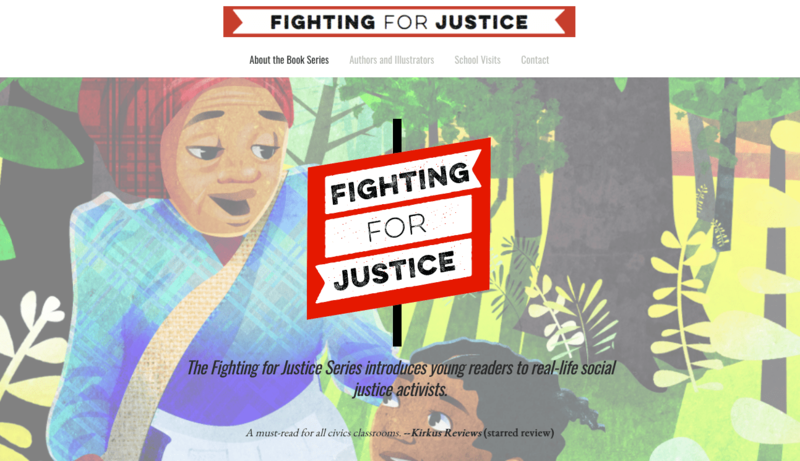 Fighting for Justice Series gets a new website! Wonderfully designed by Jai Arun Ravine, you can now book a school visit with the authors! Visit the site. 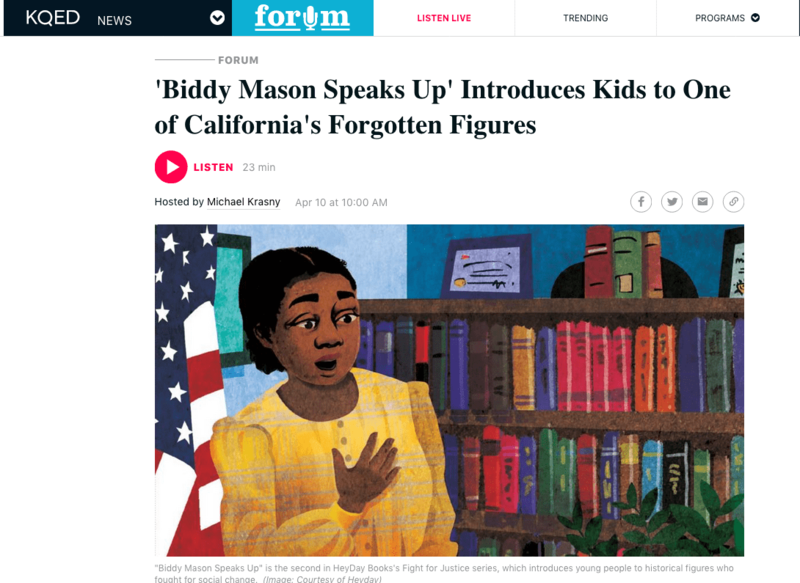 Give it up for Biddy Mason Speaks Up, the latest release in Heyday’s Fighting for Justice series profiling superstars of civil rights and social progress for young readers. You should care because this is as impressive a project as you will ever see to potentize history . . . . Read the complete review here. Biddy Mason Speaks Up! Receives Starred Kirkus Review! This book is “a creative act of repairing the historical record, of imagining Biddy Mason’s life based on all the information and stories we could gather,” explain the co-authors in a preface. Scenes are written in free verse. Each poem is followed by information about Biddy’s world: slavery and midwifery, plantation life and economy, migration, the struggle for freedom, and life as a free black person. . . . Difficult but necessary, inclusive and respectful, this book does a beautiful job of telling truths about our history and how we construct it. Read the complete review here.